This week's prize is sponsored by Tesoro... developers of innovative, cutting edge computer gaming peripherals. 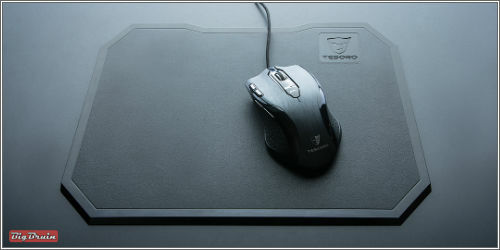 Up for grabs is a black Tesoro Shrike H2L Laser Gaming Mouse and their Ancile Z1 Hard Gaming Mouse Pad. Tesoro Technology USA Inc, a team of U.S.A gaming enthusiasts. With the objective of designing unique products specially catered to the gamers. We focused on PC gaming and our mission is to create products with better design, increase and reach for peak performances. In the recent years the gaming industry has developed into the ultra-competitive market that we see today. While we are still a relatively young company, established in 2011. Tesoro will continue to strive for the best and continuously evaluate our performance against the very best of the best. 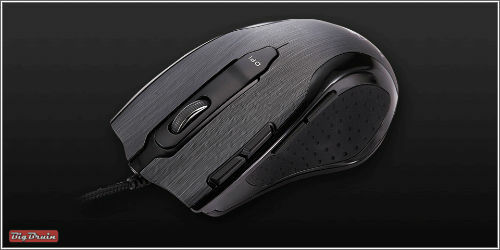 Tesoro Shrike H2L Laser Gaming Mouse - Available at Newegg.com - Athletic and attractive design gaming mouse! SHRIKE features full color programmable illumination effect. Through its programmable software UI, users can define up to 5 sets of mouse mapping, 40 macro keys, game script setting and illumination effect control. With the superbly precise laser sensor, enable customized resolution between 800/1600/3600/4800/5600 dpi. Adjustable weight system up to maximum of 35g for custom weight tweaking. SHRIKE, sleek and comfort. The preferred gaming mouse for gamers. Tesoro Ancile Z1 Hard Gaming Mouse Pad - Available at Newegg.com - Ancile is made for hardcode gamer by single body construction also adopt the reflecting surface technic, with its high texture density and ultra smooth feature, effectively improve the capture sensitivity for optical or laser gaming mouse. It also provides ultra smooth gliding experience for gaming mouse use. Looks nice... love the texture! Spread the word! Let's get some players onboard for this cool mouse and mousepad! Week #5 is up and ready to roll - get your picks in. Congrats Travelguy2. Who would think 9-4 would be the score to beat. Wow...That was close, 4 points separated the top three. Thanks for the prize. 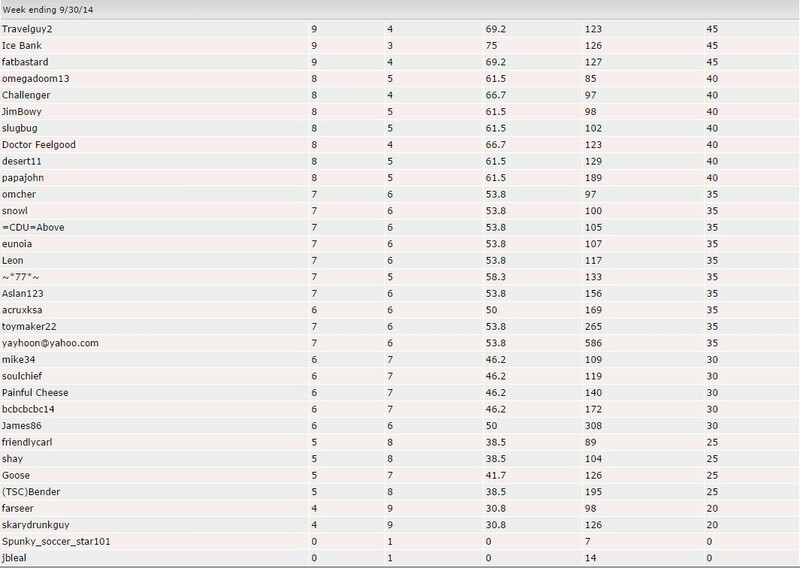 Good show to all the top 3 pickers this week.